2775 Square Feet (258 Square Meter) (308 Square Yards) sloping roof 4 bedroom villa design by Green Homes, Thiruvalla, Kerala. Total Area : 2775 sq.ft. Double floor home design in 269 sq.m. 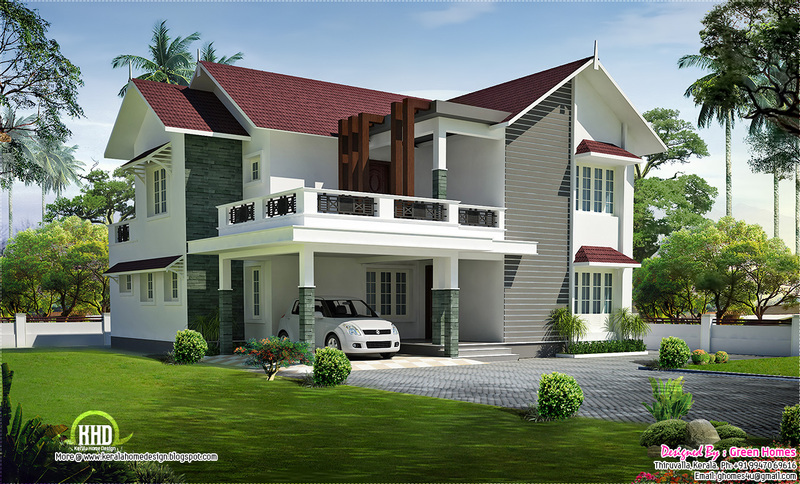 Duplex villa elevation design - 1882 Sq. Ft.